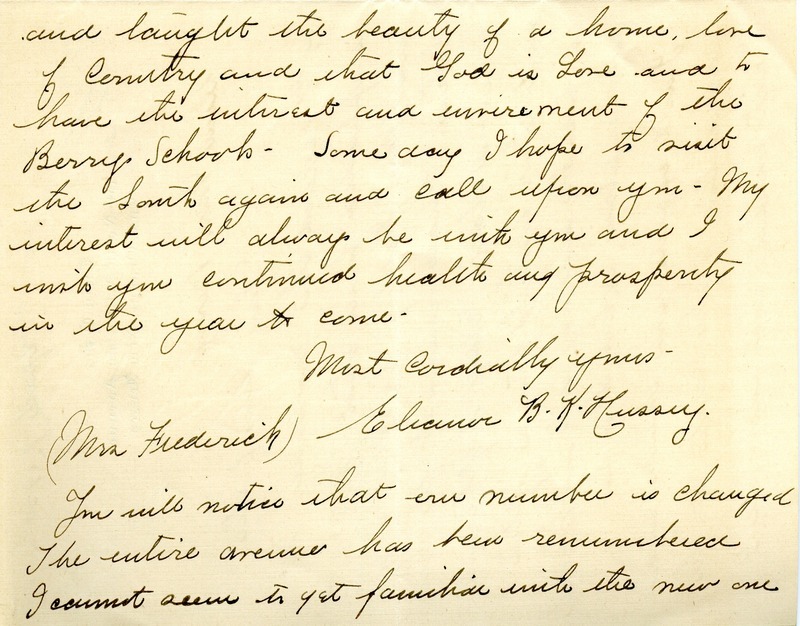 Mrs. Hussey is delighted to know that Mrs. Yardley's birthday can also be her endowed day. Eleanor B.K. 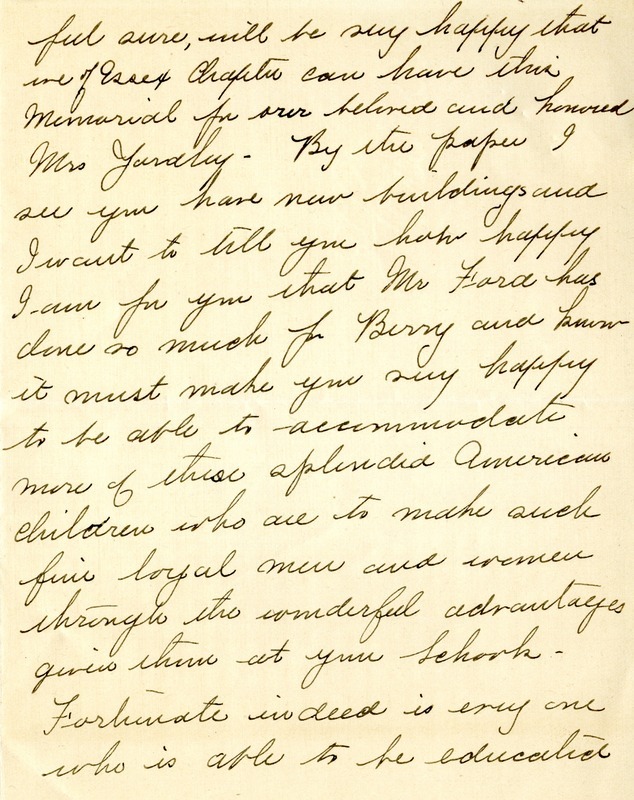 Hussey, “Letter from Mrs. Hussey to Martha Berry.” Martha Berry Digital Archive. Eds. Schlitz, Stephanie A., Angela McCavera, et al. 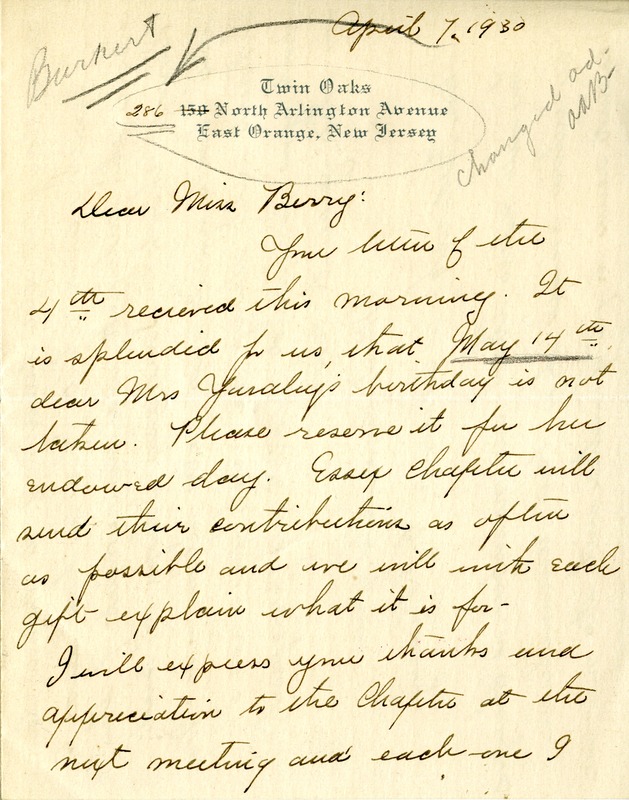 Mount Berry: Berry College, 2013. accessed April 20, 2019, https://mbda.berry.edu/items/show/12286.